Subscribe for FREE in iTunes and never miss an episode! 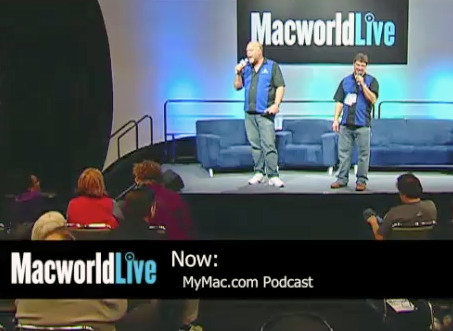 Guy and Tim wrap up MyMac.com’s coverage of the 2011 Macworld Expo. In this last episode, Tim and Guy discuss the three days of Expo, the show on the main stage on Saturday, and at the very end snag an interview with Ted Landau, who was innocently walking by. Booth segments include Splashtop, Quick office, Ditto, Blue Microphones, Boom, Mophie, and Genieo.